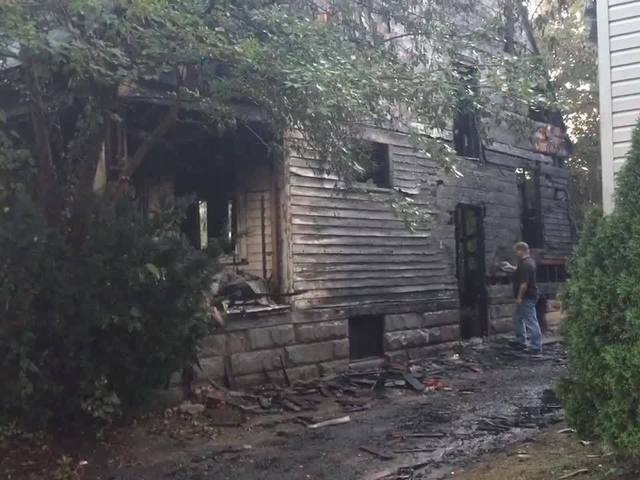 A fire that started at a vacant home early Thursday morning on Cleveland's east side spread to two occupied homes on either side. According to officials at the scene, a mother and two kids escaped from one home and five sleeping residents escaped from the other. Occupants say they were awoken by the heat of the flames and the cracking windows. "I heard the glass in my bathroom break. I opened the door and I seen the fire and I just proceeded through the house to wake everybody up," one resident told newsnet5.com. The home where the fire started is a complete loss. Authorities said it had been vacant for five years. One of the neighboring homes sustained extensive damage. The fire melted the siding on the other home. Firefighters remained on the scene putting out hot spots. Fire investigators say arson has not been ruled out.